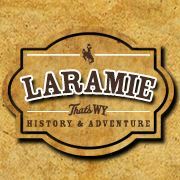 60 years after starring in the television western series “Laramie” Robert Fuller was invited to be the guest of honour at The Laramie Jubilee Days celebration. This included being the Grand Marshall in the Laramie Jubilee Days Parade. This was a tremendous honour for Robert and in fact was the first time he had visited the real Laramie.